Australians from all walks of life are increasingly engrossed in the upcoming US Presidential election. The President’s powers are enshrined in the American Constitution. So this week we thought we might compare the Australian and US Constitutions with an emphasis on how the separation of powers functions in each. 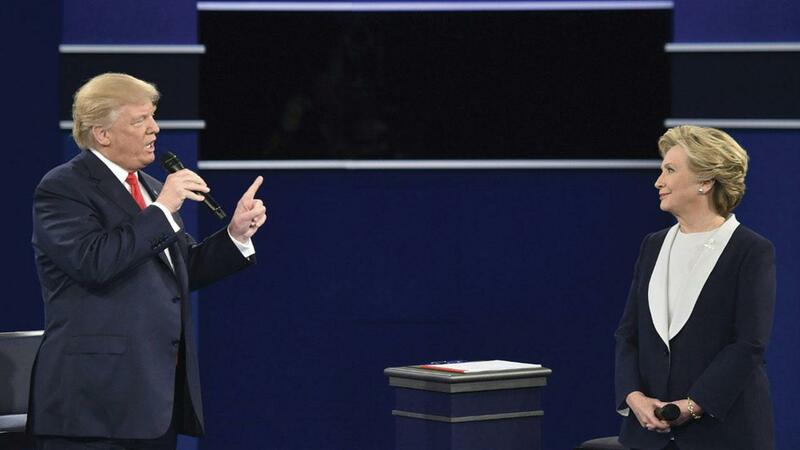 At the end of the second US presidential debate between Hillary Clinton and Donald Trump on 9 October, Trump stated that if he were to win the election he would appoint a special prosecutor to look into the Clinton email saga. When she replied that his statements about her emails were false and that it was lucky that he was not in charge of the law, he retorted with “because you’d be in jail”. So if Trump does becomes the President could he chuck Clinton in the clink? Or is that something that would be prevented by the US Constitution and the System of Government? The ideas in this book spread around the world and began to influence the work of others including the founders of the American Constitution. The separation of powers principles were enshrined in the US Constitution that was created in 1787. More than a century later the Australian Constitution was formed on the same principles. In both the Australian and US Constitutions each of the three branches of Government are stipulated in different Chapters/Articles of the Constitution. Chapter I in the Australian Constitution and Article I in the US Constitution outline the power of the Legislature (Parliament in Australia and Congress in the US). Chapter II and Article II describe the Executive power and the Judicial power is stipulated in Chapter III and Article III. Power is divided between these three branches of Government to ensure that each branch of Government is able to provide checks and balances upon the others and that no one branch of Government contains all the power. The legislative power is vested in the Parliament in Australia and the Congress in the US. Both of our countries have a Senate and a House of Representatives and the Australian legislative power also includes the Queen and the Governor-General. It is the Legislatures that makes federal law. The Senate in both countries has an equal number of Senators for each State (2 in the US and 12 in Australia) and the number of Members in the both Houses of Representative are in proportion to the population in each State (the total number is 435 in the US and 150 in Australia). In both countries Bills must pass both the House of Representatives and the Senate before it is presented to the Executive to be signed into law. The Executive in the Australian Government and US Governments are a little different. In Australia the Executive power is vested in the Queen and exercised by the Governor-General. But in nearly all instances the Governor-General must act on the advice of the Executive Council, which is made up of all the Ministers and Parliamentary secretaries. Effectively, the Prime Minister and other Ministers make decisions and they advise the Governor-General. Most people assume that the Prime Minister is the boss, but in our system of government, the final check on Executive power is placed with the Governor-General. In the US the executive power is vested in the President. The Australia Executive has more people involved. In the US President is quite separate from the Legislative branch of Government and is not an elected member of the Congress. In Australia Ministers and Parliamentary Secretaries must be Members of Parliament. So the Legislative and Executive powers overlap a little in Australia. Another difference with the Executive Power is the US President’s veto power. The President can reject bills that have passed both Houses of Congress. Once a bill is vetoed by the US President the Congress can try and pass it again with a higher majority, thus overriding the Executive power. In Australia the Governor-General gives the Royal assent to bills that have passed both Houses of Parliament and must act on the advice of his or her Ministers who sit in the Parliament. We often heard the Presidential candidates commenting upon the important Executive role of the Commander in Chief of the military, which is stipulated in Article II of the US Constitution. We have a similar section in our Constitution, whereby the Governor-General is the commander in chief, but as we know, he or she must act on the advice of their Ministers. We don’t hear candidates at Australians elections pointing out their roles as commander in chief. In Australia the Judicial power is vested in the High Court and in the US it is vested in the Supreme Court. In both our countries the Executive chooses the Justices of the Courts, but in the US the Senate must be consent to the nominees. Earlier this year US President Obama nominated a candidate to fill a space on the Supreme Court, but the US Senate has refused to vote on the nomination. This has meant that the Supreme Court vacancy has remained and it has become hot issue in the upcoming US election. The Judicial power in both countries gives the courts the power to interpret the Constitution and interpret the law. Both Constitutions provide for a trial by jury and only the Courts can exercise Federal Judicial power. The tenure for Supreme Court Justices in the US is protected and they can stay on the bench for as long as they like. In Australia tenure is also protected but Justices must resign at age 70. Security of tenure is an important feature of the Separation of Powers. If Justices rely on being reappointed by the Executive every so often there is the potential for political interference of their judgements. Then there are Presidential Pardons in the US. The Judicial branch of Government enforces the law and punishes people found guilty of committing a crime, but the President of the United States can let them off. This might be explained as a little bit of an overlap between the Executive and the Judiciary or perhaps it is just another check on the judicial power. Australians might describe this as an extraordinary power. These are the words that Trump supporters chant at his rallies. But could he lock her up? In Constitutions like ours and that of the US, power is shared between the three branches of Government. This separation of powers means that each branch of Government has a defined role that is set out in the Constitution and no one part of Government contains all the power. The judicial power in the US is vested in the Supreme Court and only the courts can punish someone. And only after they have been convicted of a crime. The US President as the Executive does not have the power to directly punish someone. The US political debate is galvanising world interest and provides Australians with a fantastic educational opportunity to compare our different systems of government.